The 2019 season is off to a hot start for Titleist, announcing the release of new putters, irons and wedges. With plenty of new products to chose from, learn more about how these clubs can help take your game to the next level. Developed through feedback from the game’s best players, the new Fastback 2.0 and Squareback 1.5 putters will be available in store on February 15. Learn more about this line of putters here. After adding to the AP2 and AP3 lineups last fall, Titleist is continuing to improve upon their irons, making them available in a sleek, limited black finish. With a release date set for March 1, learn more about the AP2 and AP3 irons here. Bob Vokey once said, "A player has to love their wedge when they look down at it". 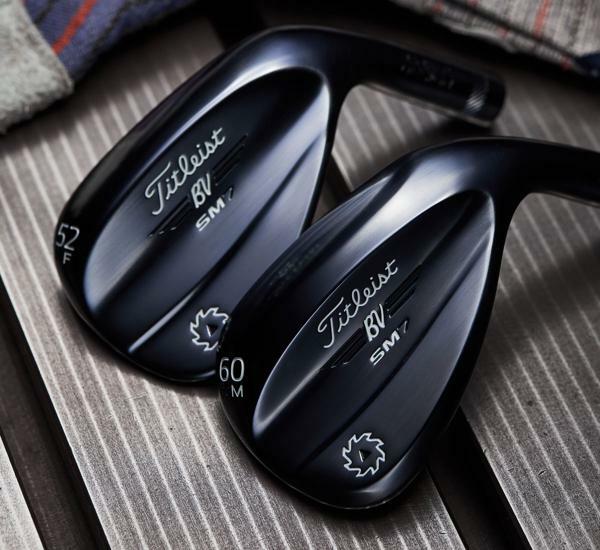 With the launch of the new SM7 wedges in a slate blue finish, players are sure to love what they see. Available for purchase on February 15, click here to see how this wedge will help your game. Available worldwide on April 12, the new Phantom X putter features five different head sizes to meet the demands of every golfer. Watch this video to learn more about the Phantom X Putters, or click here for a detailed breakdown.